This One Owner 2012 Ford F-250 Super Duty Crew Cab Lariat has a 6.7L V8 Turbo Diesel engine with an automatic transmission and only 62k miles. A powerful 4×4 truck like this only deserves to look good with modifications like a new ProComp 2.5 inch leveling kit, new 35×12.5×17 Toyo Open Country A/T wrapped over Procomp Axis wheels and a 50 gallon fuel tank. Factory features don’t fall short like a bedliner, running boards, back up Camera and sensors to make parking this beast a breeze, tow package, front dual power and ventilating and heating seats, Leather throughout, power group including folding mirrors, pedal adjustment, Microsoft Sync, Bluetooth and dual digital climate control. Our Ford just went through a complete 151 point inspection by a licensed California repair shop and is ready to hit the road! 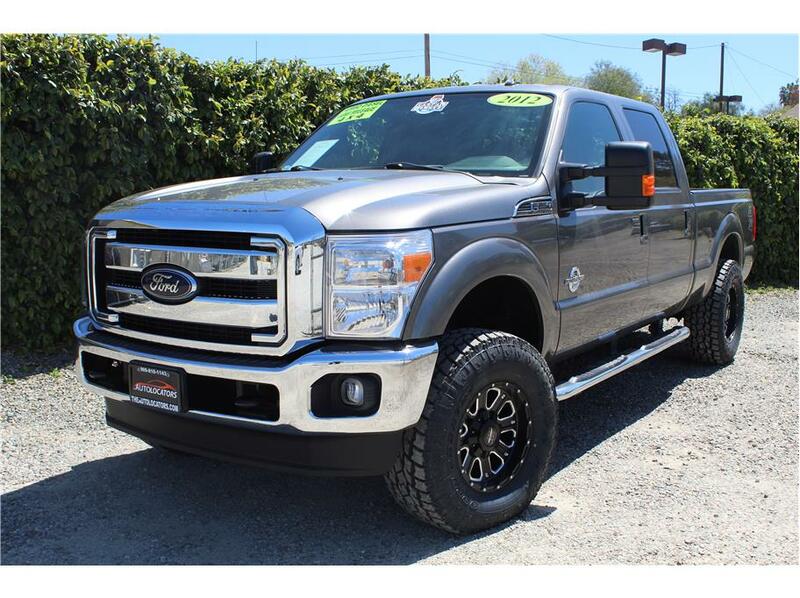 This truck is ready for its next owner, come test drive it today!